...must be thinking "Oh my achin' feet". I mean, could you just imagine holding 700 pounds of weight to a smooth surfaced wall with your feet? Truth is, it is not really gecko feet that can do that but a new product, called Geckskin, that kind of duplicates the adherent properties of gecko feet. 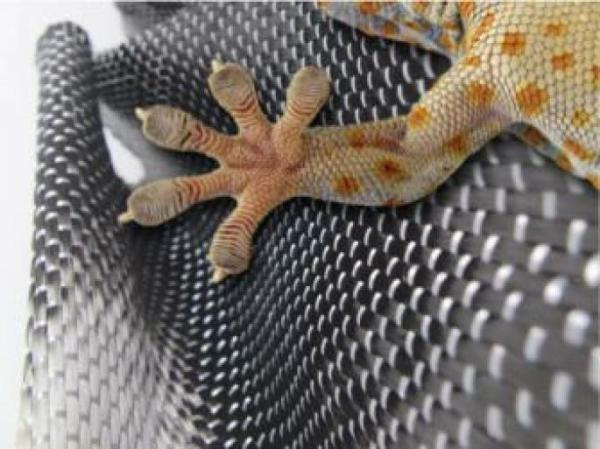 Read about it here: http://www.umass.edu/loop/content/cnn-money-names-geckskin-top-science-breakthrough-2012. Thanks and a hat tip to LIHS member Deb Hoppe for this one. Have An Article Or A Photo For a Blog Post? If you are an LIHS member and have an article you would like to see appear on this blog - or if you have a photograph of one of your herps that you would like to publish here - please send articles (in MS Word or WP formats) or pictures (in JPG or JPEG format) to me, as attached files, at LIHSBLOGGER@gmail.com. I only check the email about weekly, so be patient for me to get back to you about it. Any articles should be be limited to care sheets and stories about herps (serious, educational, fiction, funny anecdotes, tales of herp related adventures; but please make sure your submission is primarily herp related). Please submit articles that have already been proofread. They certainly do not have to be comparable to the works of Shakespeare but should be intelligible. 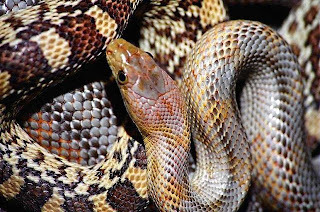 A Study In Contrast: Bairds Rat Snake & Gopher Snake. Clickable image, click it to big it. As far as photos go, they should be large enough to be easily seen on a computer screen without looking pixelated. A herp, or something herp related, should either the main subject or at least one of the main subjects in the picture. The quality of the photo should be good enough to see clearly. An couple of examples are shown in this post. We can only make this blog work with participation from the membership. Remember that making this blog work will help spread news about the LIHS and hopefully lead to increased membership. ...because the way this woman did it is probably one of the cruelest ways to kill anything. It also seemingly turned out to be a very idiotic way to cope with her fear of snakes and it allegedly resulted in a quite unexpected outcome. As to the outcome, maybe she deserved just what she got, you can be the judge of that. What gets me, in all of this, is that they blame the snake for burning down the house and have not somehow assigned one iota of blame on the woman, the gasoline, or the matches (lighter?) with which she ignited the fire. All I can say is, thank goodness that she was not a custodial worker and did not set a school full of kids, an old folks home or a packed church afire due to her her recklessness. If you enjoy our Facebook page, please 'like' us on Facebook. 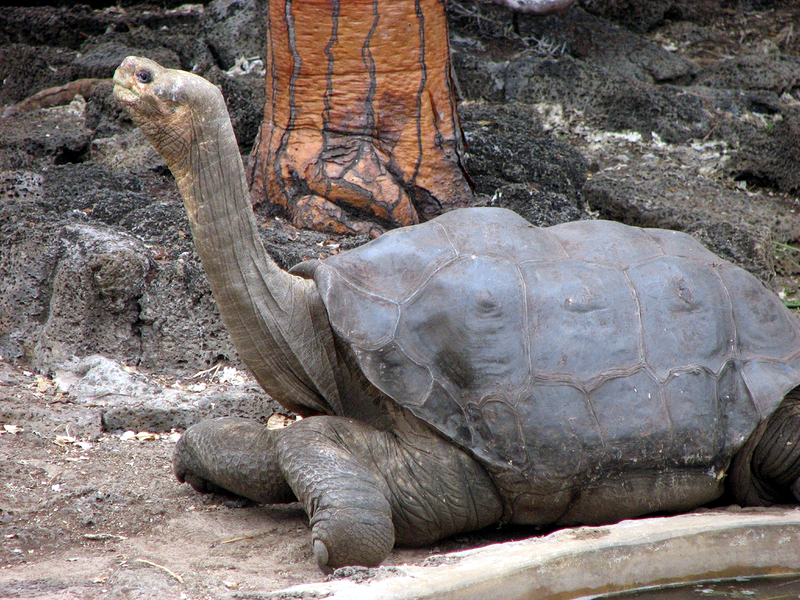 The remains of Lonesome George are to be embalmed at the American Museum of Natural History in NYC. Read about it here. 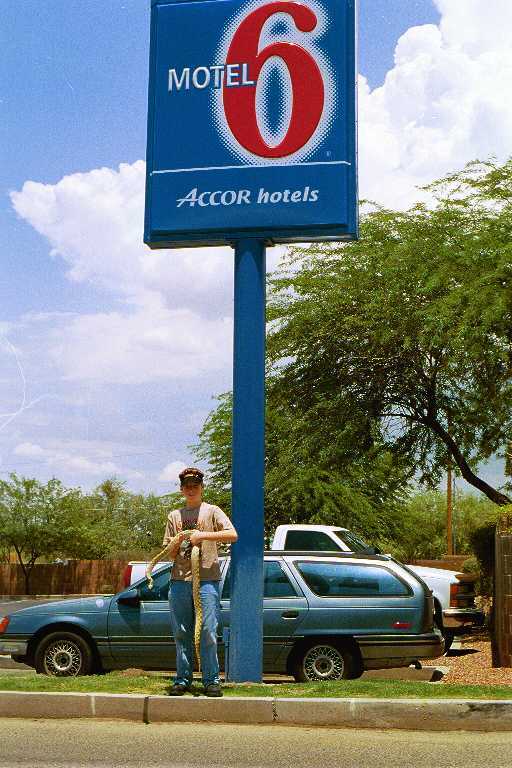 A hat tip and my thanks to Deb H. for the submission. The Long Island Reptile Expo, held on March 17th, this past Sunday, proved to be a great show. This was not the annual Long Island Herpetological Society (LIHS) shows but was one of the shows run by Bruce L. of reptileexpo.com. Once again, Bruce was kind enough to give the Long Island Herpetological Society a free table the expo to help us promote the LIHS. As usual, the LIHS table was manned by volunteers from within the society. Glenn B., Harry F, John H., and Tara N. all helped out. There is no heavy lifting while working an LIHS table at such events, well unless you are bringing along a large tank for display purposes. Most of the day's work consisted of setting up and breaking down the LIHS display for the table and that consisted of setting a table cloth, setting up a computer for a display, placing some animals on the table (for educational display only) and putting some LIHS flyers on the table. Then the LIHS members, who had volunteered, tried to reel in some new members, give out information about the society and its events, inform some folks about different species of herps and how to care for them and in general help keep the public informed and interested in herps. Besides the regular computerized display (created and maintained by John H), Harry, Tara, John and myself also gave out a lot of information to folks inquiring about many different of herps. People wanted to know all sorts of things from whether a lizard they owned was sick, to whether or not a recently metamorphosed frog should have started chomping down crickets, to whether or not an animal they were considering buying at the show was a good choice for a beginner, to specific care requirements. Many of them stopped at the LIHS table to get that info and we were happy to give it. This time there was also a live tortoise display in the form of two young (but over 4" long) Hermann's Tortoises (Testudo hermanni). The display was brought along by yours truly, Glenn B. I am guessing that at least 100 people stopped by the table to view the tortoises and, of them, at least 20 asked for information about them. Several also wanted to buy them but they were not for sale. A lot of kids got to hold them. As a mom or dad was about to snap a picture with their cell phone cameras, I asked them to hand their cameras to me. I then I took the pic, from a better angle if only the kids were all facing the table (thus facing me too) holding the tortoises over it. Most of those shots wound up including tortoise, the child holding it, mom, dad and brothers and or sisters. Virtually everyone left our table with smiles on their faces, more info on herps than they had before stopping by, and many took a flier and a membership application with them. Hopefully we will be hearing from them again soon by way of them joining the society. Speaking about memberships, Harry corralled at least one and maybe two new members and also had a current member renew. Besides staffing the table, we all got a chance to walk around the show, scope out all the herp related offerings and buy what we wanted or needed. Tara picked up a nice corn snake, Harry got some tree frogs and herp supplies and I picked up a couple of bags of cypress mulch and a couple of mercury vapor lamps for my tortoises. LIHS member Chris McAllister was also at the show and he picked up a Malaysian Box Turtle and two Central American Wood Turtles. As usual, there was a lot of variety at the show. There were Dart Poison Frogs, Argentine Horned Frogs, Pixie Frogs, and even some Iberian Newts for the amphibian lovers. As for available reptile offerings, as is always the case at these expos, they far outnumbered the offerings of their slimy or warty cousins. Snakes were probably the most abundant there were numerous species offerings such as those offered up for sale by Cutting Edge Herpetological Inc. (run by LIHS president Vin R.). He had his upscale Ball Pythons, Boas and Hognose Snakes all on the table next to the LIHS table. LIHS member Tony Carrozzo, of Exotic Snakes, was also nearby selling a variety of high end Green Tree Pythons (among other offerings) from his table. Many other vendors were selling all kinds of snakes such as Corn Snakes, Kingsnakes, Black Headed Pythons, Gopher Snakes, Rosy Boas, Green Tree Pythons and others. As far lizards went, there was a wide variety from R. leachianus (some quality critters being sold by Leapin' Leachies), to Crested Geckos, to Gargoyle Geckos, to Bearded Dragons, all the way to green anoles. Turtles and tortoises were also offered but not in as wide a variety as at other shows I have attended. There were some Redfoot, Greek, Russian, and Pancake tortoises and a really nice Burmese Mountain tortoise. In addition there were herp keeping related accessories, equipment and supplies galore. Paul and his crew were there representing Slither & Swim Pets and as usual the variety of herp care offerings on those tables was tremendous. Ken Siffert, Mike Russo and some other LIHS members were also at the event. Long time LIHS supporter, Heidi Hoefer D.V.M. stopped by to see how the LIHS was doing. She sent her regards to all LIHS members. If you don't participate at the LIHS table, nor have your own vendor's table at the expos, they are worth the visit nonetheless. 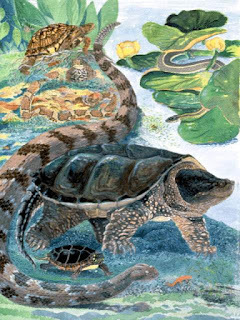 The prices you pay for herps and herp accessories and supplies almost always beat those you can find at a pet shop or herp specialty store and the wide variety of offerings is amazing. Even if you are not interested in buying but just have an interest in herps, a visit to one of these expos is probably better than a visit to the reptile houses at many zoos as far as the number of species you will get to see. Hope to see you at the next one, stop by the LIHS table to say "hi" or ask for advice or just talk about herps. The LIHS has arranged for a Spotted Salamander ( Ambystoma maculatum ) Watch at West Hills County park on March 23rd, from 7:30 pm to 9:00 pm ( the park is located about 10 minutes north of Farmingdale University ). This is a MEMBERS ONLY outing as we needed to get a research permit to go into the park at night. The permit is in the club name and covers members/family only. We will meet up around 7:00 on the 23rd, and caravan to the trail head. It is about a 1/4 mile walk down slightly hilly terrain ( and then back up when leaving ). Wear boots as it will be muddy and wet ( we are going to a vernal pond) . Flashlights are a must as the salamanders come out after dark. John Heiser will be leading this excursion and it is LIMITED TO 30 PEOPLE ( First Email Responses ). This is our first time to this pond, so no guarantees that we will see spotted salamanders, but they are there, just a matter of how many and having our timing right. Weather will be a big factor, but we are pretty confident something will be seen. This is a rain or shine event as rain will only benefit the chance of seeing salamanders ( and hopefully egg masses as well ). With luck there may be some peepers and wood frogs as well. AS OF SUNDAY, MARCH 10, 2013, THE 23RD LIHS ANNUAL REPTILE EXPO HAS BEEN CANCELLED. IT IS NOT ANTICIPATED THAT IT WILL BE RESCHEDULED. IN ADDITION: IF YOU NEED TO CONTACT THE LIHS FOR ANY REASON, I SUGGEST YOU DO SO BY EMAIL AS THE LIHS PHONE LINE IS TO BE SHUT DOWN. NOTE THAT THE LIHS IS DOING THIS, IN PART, TO CUT COSTS AND WILL CONTINUE TO OTHERWISE OPERATE AS NORMAL. Information found within the fact sheets for each species includes things like: a description of the herp, natural history info and a range map. ...and just way to heavy for me hold in the palm of my hand. Speaking of palms, is that a short life-line I see there? 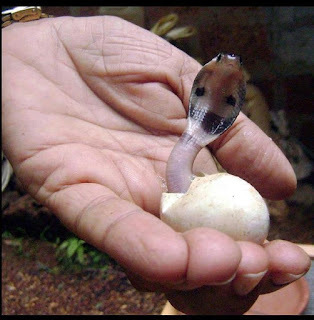 I don't think you would ever see me handling a venomous snake in this fashion even if a neonate that just piped and came out of its egg. I am pretty sure that a baby of any of the cobra species,has more than enough venom to put a person six feet under and then some. Thanks to Deb H for sending in this photo for the blog.